Every city has their local institution when it comes to food and Sergio’s is one of them in Miami. Inspired by Cuban cuisine, they have been serving their customers since 1975 and when my friend suggested we would go there for breakfast I was delighted. They have several locations and we went to the one in Coral Gables. The decor is very rustic and you feel the family type environment when you walk in. It’s nothing fancy but it feels very welcoming. 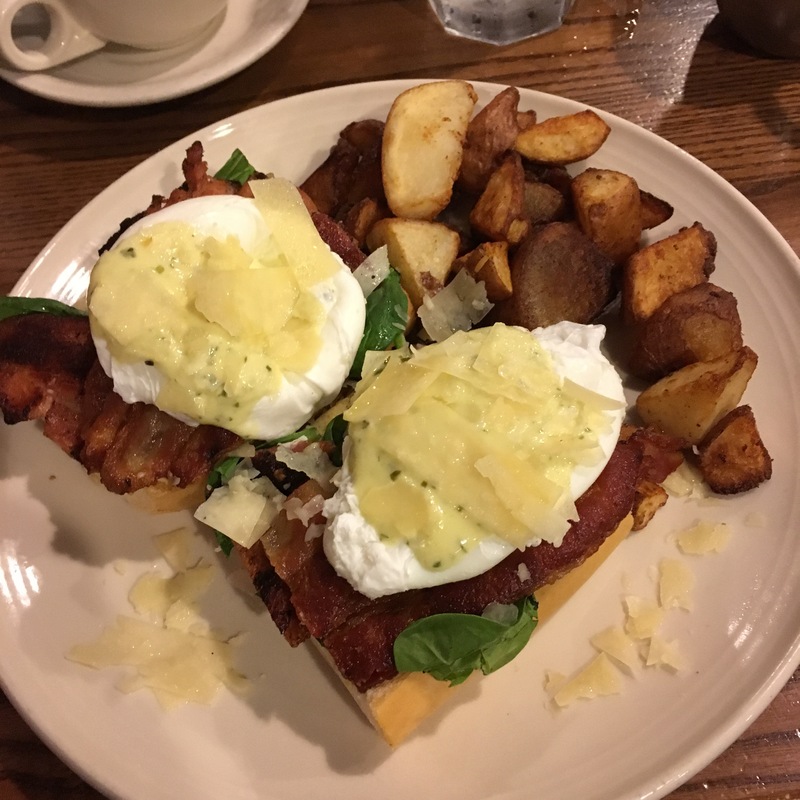 There was quite a few choice of the menu but I opted for the Sergio’s Benedict. Egg’s Benedict with bacon, cheese on top and with very little sauce and served on Cuban toast instead of the traditional English muffin. It was feeling pretty full and it tasted so good, the bacon was nice and thick and the fact that was very little sauce kept the taste of each ingredients present. That location has parking so it’s quite easy for your visit. I would recommend reservations as it was pretty busy when we were there.